This groundbreaking research, produced by the Global Commission and more than 200 experts, highlights proof points of the global shift to a low-carbon economy, and identifies ways to accelerate action in five sectors: energy, cities, food and land use, water and industry. The blog series, The $26 Trillion Opportunity, explores these economic opportunities in greater detail. “It’s difficult to make predictions, especially about the future,” goes a saying variously attributed to Yogi Berra, Mark Twain and Niels Bohr. Yet, despite the limitations, predictions are essential for policy analysis. Models can cast some light into the darkness ahead, providing the only way to rigorously estimate how policies instituted now will impact the economy in the medium to long-term. Modelling played a key role in the New Climate Economy’s report, “Unlocking the Inclusive Growth Story of the 21st Century: Accelerating Climate Action in Urgent Times.” Based on a new economic modelling exercise by a team of researchers, including us, the Report found that a shift to a low carbon economy could provide $26 trillion in global economic benefits up to 2030. In 2030, it could also: prevent 700,000 premature deaths; generate 65 million new low-carbon jobs; raise an additional $2.8 trillion in government revenues; and increase female labour force participation. Of course, one needs to be somewhat cautious about all modelling projections. It is difficult to predict the basics of the economy like fuel or commodity prices in the near-term, much less forecast how economies will evolve structurally 15 or 25 years from now, what sectors will dominate, and what technological innovations will fundamentally alter society. But, for the reasons we describe below, the numbers in this Report are actually likely to be underestimating the benefits of shifting to a low-carbon economy. We used Cambridge Econometrics’ E3ME model for the macroeconomic modelling for this Report, a simulation model originally developed through the European Commission’s research framework programs that is now widely used in Europe and beyond for policy assessment, forecasting and research. (Learn more about the E3ME model). 1. Does the modelling include the impacts of climate change, e.g. extreme weather events such as hurricanes? No. 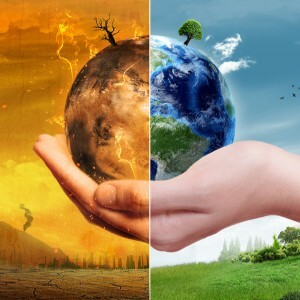 The model does not include the impacts of climate change, such as the costs associated with increases in temperature, changes in precipitation patterns and the expected more frequent extreme weather events, such as droughts and severe storms. This is one reason why our study underestimates the economic benefits of climate action: it does not consider the costs of climate change in the baseline, thus overestimating the growth potential if we do not act on climate change. Likewise, the model does not include measures taken to adapt to a warming world. There is a class of models, called integrated assessment models (IAMs), that include the costs of climate change across various economic sectors and have been used to calculate the social cost of carbon, the monetary costs associated with emitting climate-warming carbon dioxide (and other greenhouse gases) into the atmosphere. Studies that have employed IAMs generally find that the costs of climate inaction far outweigh the costs of action, and one criticism of these models (among others) is that they generally do not include extreme weather events very well. 2. What is meant by $26 trillion in economic benefits? The $26 trillion is the difference in global GDP up to 2030 between our low-carbon policy scenario and the baseline (i.e. absence of new climate policy in the future). To put this in perspective, $26 trillion is about one third of the total GDP generated in 2017. There are a couple of notable reasons why this $26 trillion estimate is likely an underestimate of the economic benefits. As noted above, most baselines for the economy tend to be too optimistic because they don’t include the costs of climate inaction, for example the damages from more frequent and/or intense storms or the loss in agricultural production in some areas. The costs can be dramatic — the latest IPCC special report projects global economic damages to be $54 trillion in 2100 with 1.5 °C rise, increasing to $69 trillion with a 2° C above pre-industrial level. Second, climate action scenarios, like ours, tend to be too conservative on technological progress and the potential gains in efficiency in a low-carbon world. They use the best data and assumptions available today, but many ex-post studies of climate and environmental policies find that they are both cheaper and easier than was expected, because we can innovate and find new solutions as we start to implement the policies. 3. Why do some other modelling exercises suggest climate action might be costly? Firstly, some analyses focus only on the initial upfront costs of the low-carbon energy transition, not the long-run net benefits. As noted above, many previous economic studies have ignored the damages associated from climate change. These earlier studies that have estimated little economic effect or a loss of GDP with climate action are comparing a baseline that assumes a) an increase in fossil fuel use without any corresponding economic damages and b) a low-carbon energy scenario where future energy efficiency gains is limited and where renewables are usually assumed to always be more expensive than fossil fuels. Given their assumptions, it is no surprise that these analyses conclude that climate action is a costly endeavour. But today’s reality is that fossil fuel use will cost and is already costing us dearly. Disasters triggered by weather- and climate-related hazards were responsible for thousands of deaths and US$320 billion in losses in 2017. And by 2020, Africa is projected to spend $7-15 billion annually to adapt to climate change, and even if warming is held below the 2°C threshold, the price tag may hit $50 billion by 2050. Meanwhile, the cost of renewables continue to decline: between 2010 and 2017, the average global cost of utility-scale photovoltaics has fallen 73%. Renewables are already increasingly cheaper that coal or other fossil fuels in many regions today – something few models reflect. Due in large part to this cost-competitiveness, renewables accounted for 70% of new additions to the global power supply in 2017. Furthermore, our results are in accord with other recent studies. The OECD, for example, found that climate action can increase long-run GDP by about 5% on average across the G20 countries in 2050 compared to current policies. 4. What sectors were modelled? While the report describes the need to accelerate structural transformation in five key economic systems–energy, cities, food and land use, water, and industry—the modelling includes policy action only in energy, cities, and industry. If climate action were included in more sectors, the economic benefits might likely be much larger. regulation of different energy technologies and the promotion of resource efficiency for a circular economy. Overall, the combined low-carbon policy scenario results in greenhouse gas reduction of about 50 percent in 2040 compared to the baseline, with most of the reductions coming through the energy reforms and carbon pricing. 5. Does the low-carbon policy scenario reflect the Paris Agreement climate goal? Yes, our analysis is consistent with the ambition of the Paris Agreement, which calls on Parties to hold the global average temperature to well below 2°C above pre-industrial levels and pursue efforts to limit the temperature increase to 1.5°C above pre-industrial levels (Article 2.1a). Our analysis only covers energy and CO~2~ from industrial processes. If land use and non-CO~2~ emissions–not included in our analysis– ­­are assumed to follow a pathway that is consistent with Representative Concentration Pathway 2.6 (RCP2.6) of the Intergovernmental Panel on Climate Change, our low-carbon policy scenario would stay below a 2°C peak temperature change with a greater than 60% probability. 6. Are there winners and losers of climate action? In terms of countries, those that are net importers of fuels tend to benefit more than other countries in a low-carbon scenario. Likewise, energy-exporting nations tend not to do as well relative to a base case of no climate action, due to reduced demand for the products they specialise in. However, it should be emphasised that it is difficult to anticipate how economies will transition, which we would expect to open up new opportunities as they shift away from fossil fuel-dependent economies. And ensuring that this transition is just and well-managed is essential. Beyond the split between energy exporters and importers, we see little difference in the economic benefits between developed and developing countries. And all countries are expected to have higher GDPs compared to today. 7. What is included in the estimate of 700,000 avoided deaths? Premature deaths are the adult deaths due to the inhalation of particulate matter (PM2.5) from air pollution. As such, reductions in PM2.5 would come mostly from carbon pricing and energy reforms. The main air pollution-related diseases are lung cancer, chronic obstructive pulmonary disease, ischemic heart disease (from reduced blood supply), and stroke. E3ME’s outputs on air pollution were combined with country-specific data from the International Monetary Fund’s study, “Getting the Prices Right” on intake fractions (i.e. amount of particulate matter inhaled per ton of primary pollutant) and mortality factors for the cardiovascular diseases. So, while we should always be somewhat circumspect about specific numbers, the basic contours—and benefits—of a low-carbon economy are not in doubt. This study adds to the mounting evidence that a low-carbon world makes sense economically as well as for human health, livelihoods and social inclusion. As the Report makes clear, there is a critical window of time to make this shift. Decisions that are made over the next two to three years have the potential to lead to a more prosperous future or lock-in pollution, inequalities and greenhouse gas emissions for years to come. The choice is ours.